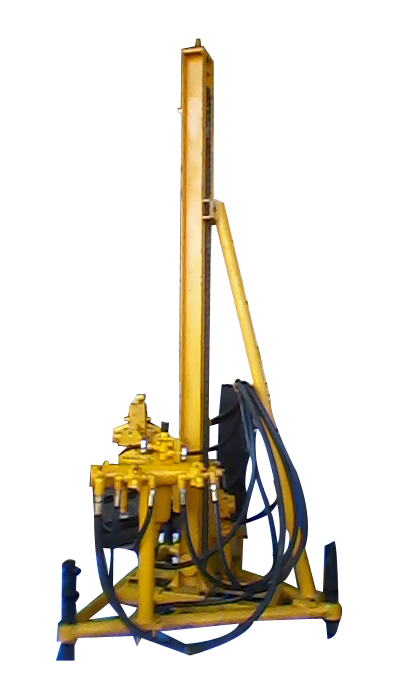 BEAVER BIW-100 Model, Tripod Mounted Pneumatically Operated In-well Drilling Rig can capable of drilling from 4.5” to 6” Dia. Bore Holes in medium to hard rock formation by DTH method up to a depth of 100 Meters (330 Ft.) under favorable Drilling Conditions. It is the portable, easy to move and very cost effective drilling rig for water well drilling application. Accessories/ optional attachments : Welding set, winch with jib and boom arrangement on the top of the mast.